The Latino Elvis impersonator is pictured to the left. 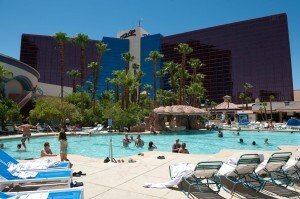 The Rio's VooDoo Beach is perhaps one of Vegas' finest. 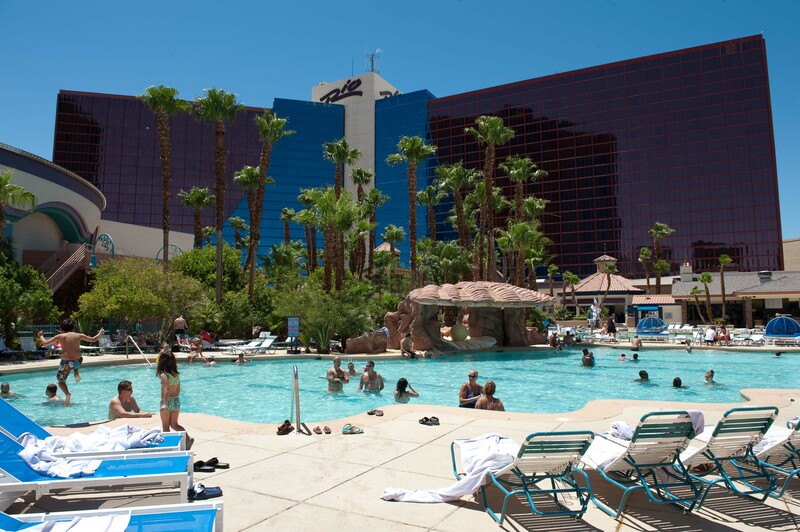 On the 11th day of the PapiBlogger Family Road Trip the Ruiz clan cruised the Las Vegas Strip, climbed atop the Eiffel Tower and got some much needed, pool-side rest at the fabulous Rio All-Suite Hotel and Casino Las Vegas. The day began with breakfast at the ultra chic Viva McDonald’s, one of the nation’s three busiest McDonald’s restaurants. We got the opportunity to host two families to breakfast including the Ochoa’s from south Texas. The family of seven drove to Vegas over the course of two days to visit family and took a couple moments to share their road trip wisdom with us. 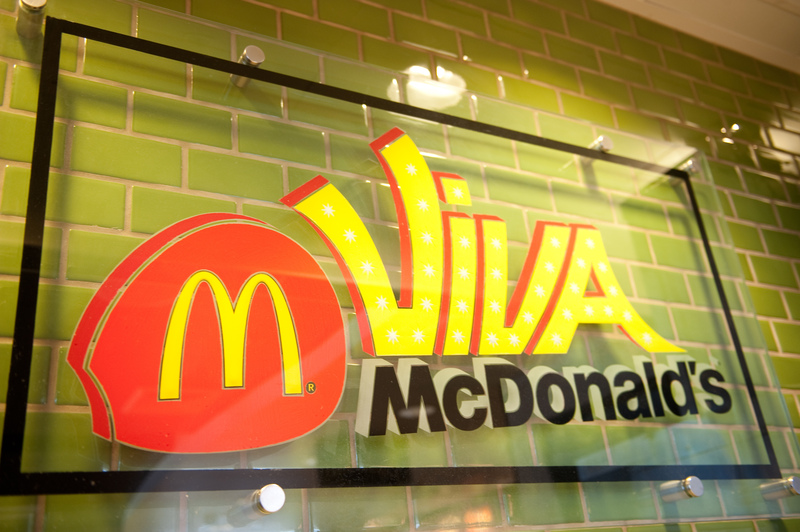 Viva McDonald's is one of the chain's busiest stores. The Ochoa’s brought two young children to Vegas, including four-month-old Hannah. Their family’s most important travel rule? “Hannah Rules.” That means the family will not do anything until the baby’s needs are fully met anytime and as often as she’d like. Elvis impersonators eat here at least once a month. 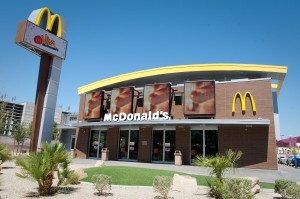 The Viva McDonald’s restaurant, located right next to Circus Circus, has hip furniture and more than a dozen TV screens. One of the managers told me Kobe Bryant, superstar basketball player from the L.A. Lakers came by a couple months and ordered a No. 3 and that about once a month they’ll get visits from some of the city’s many Elvis impersonators. As you can imagine, Sin City’s edgy image is so prevalent throughout the Strip that everywhere you go it would seem Vegas is not suitable for family travelers. If you plan right, however, there’s plenty for your family to do. To prove you can have a terrific family time in Vegas, we were generously hosted by Harrah’s Entertainment to stay at their Rio All-Suite Hotel and Casino Las Vegas, perhaps the top rated hotel standing just off the strip. We stayed in a luxury suite on the 19th floor of the 2,563-room hotel. 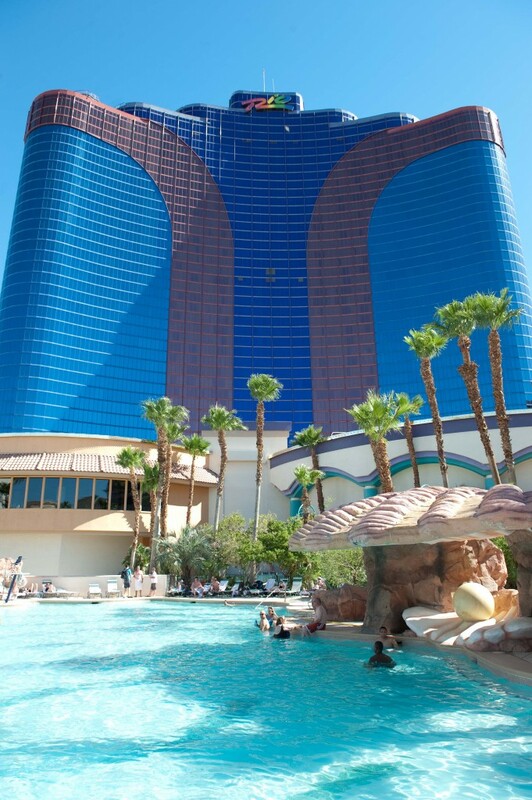 The Rio has a wide range of restaurants, including the strip’s only seafood buffet, the Village Seafood Buffet but our family favored the moderately priced All American Bar & Grille. (If your kids are old enough or you have a baby sitter, you should check out the hotel’s amazing VooDoo Lounge, which overlooks all of Vegas on the 51st floor). One of the things we most enjoyed about our stay at the Rio is the hotel’s VooDoo Beach. My wife and I don’t usually spend time at pools while traveling but the VooDoo Beach features a beach-like pool with sand, heated and unheated pools, jacuzzis, comfortable cabanas and more. Jonathan and Elena used their pool time to play with their FUJIFILM FinePix XP10 all weather-camera and started fooling around with pool videos and photos. The weather was a scorching 105F so Angela and I favored the unheated pool. Before we knew it, almost the entire day blew past us. At night, after a long day at the pool, Briani and Angela stayed in to recover while Jonathan, Elena and I went to the Strip prowling for some family fun. The 4.5-mile Vegas Strip lights up with magic at night so rather than plunging into visiting any specific hotels, we first did some cautious cruising on the Strip in our PapiMobile (aka 2010 Chevrolet Traverse). I used the time to give the kids a sense of where they were and what makes Vegas unique among the many cities we will be visiting. 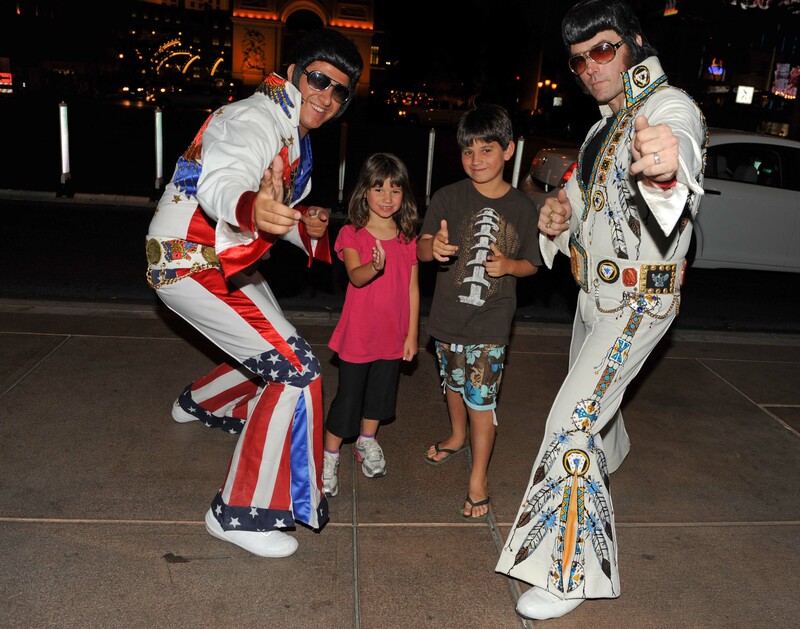 One of the coolest things about the Vegas Strip at night is that you can enjoy quality family activities with your kids completely free. The three stars of the free shows are The Paradise Island Hotel with their pirate ship fight extravaganza, the Bellagio’s spectacular water fountain ballet (which takes place every 15 minutes) and The Mirage’s exploding volcano. Because all the hotels want people to gamble, self-parking at most every hotel is free. Shuttles are another cost-effective option. The limited time we had to enjoy the Strip we used to go up to the Eiffel Tower, an exact replica of the one where I proposed to my wife. Although the Eiffel Tower experience is great day or night, I think nighttime is the ideal time to visit because Vegas looks best at night and you also get a master view of the Bellagio’s dancing water fountains at dusk. As we headed back to the Traverse, the kids got another front row view of the Bellagio’s water fountain and took photos with a Latino Elvis impersonator. When you go to Vegas, you should incorporate the pirate fight at Treasure Island, the volcano experience at the Mirage, the aquatic tank at the Mandalay Bay and the rides, shows and games at Circus Circus. Yes, Vegas is definitely very “adult” in its focus but there is a lot of top quality things families can do together while there. Expect conflict and lay ground rules for how you will deal with it when it happens. When you are cooped up in a car or hotel with your kids and spouse for days on end, conflict is bound to happen and sometimes often. We have had days in the past two weeks were we have all lost our fuse for one reason or another. The most important thing is that you remember that conflict is part of the trip. It’s never a matter of if it will happen bur rather when. Our family is coping well by remembering that we have to be tolerant of each other. On some days, one or another one of us is feeling physically tired or cranky so we tell each other to make room for them to feel like that and we move on.